I made 4 cards using the Sketch Saturday Challenge # 147. This is the third. I love all the strawberries! Accessories: Heart Embellishments by Jolees, Whimsy Scallop Border Die, SU Real Red Grosgrain Ribbon. 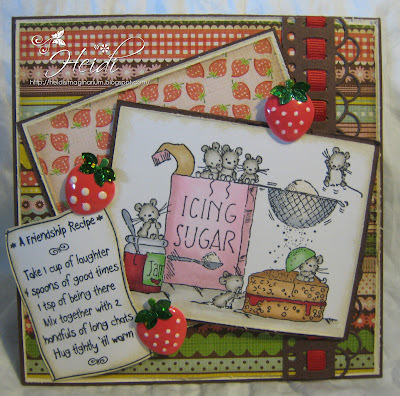 Hi Heidi, I love this card it's really cute and those Strewberries are amazing I was looking for some the other day couldn't find any as good as those one's you've used. Love this card.